Eurogamer's Simon Parkin explores how Tekken, Soul Calibur and Ace Combat work to repair the image of a business model. The art and business of video games has always been a complicated marriage. In the medium's formative days Atari's arcade game designers were never shielded from the pressing economics of their art. They would have to tweak each game in such a way that the majority of its players would lose the game within 90 seconds without, crucially, also losing their desire to play again. Too easy, and the game would fail to earn its keep -- too difficult, and players would walk away nonplussed. In both cases the arcade machine risked being turfed from the bar in which it squatted: the art had to make money, else find somewhere else to take up residence. The symbiotic relationship has, in recent times, encountered fresh difficulties, brought about by the changing ways in which people play games. Free-to-play has, according to its vociferous advocates, brought about a revolution in the way in which games are distributed and monetized. League of Legends, arguably the most popular video game on the planet, can be downloaded and played gratis. Its developer makes money by selling characters and costumes for those characters, but it's possible for someone to play the game without spending any money. Whether you view this as a victory for business or for art probably depends on how old you are, and whereabouts in the world you live. The business model certainly has its skeptics. The European Union is currently examining the phrase 'free-to-play,' considering it to be a misnomer. Many veteran game players, disillusioned with the greed-fuelled designs of free-to-play (a term that's usually shortened to the mucky, dated initialism 'F2P') on the App store argue that the business model often corrupts a game's design, introducing artificial barriers and hurdles that can only be removed with money. Many younger players have no such qualms, while, in the Far East, free-to-play is now the standard model. In Japan, a country that remains one of the three major geographical hubs of video game development, free-to-play has broadly overtaken the old way of doing things (where a publisher sold a full game up front, like a DVD or album). Despite its reputation as a middle tier game publisher in the west, Namco Bandai is the largest entertainment company in Japan. It's also a video game developer and publisher that has negotiated the marriage of art and business in video games for more than three decades. Today, as sales of its boxed games seem minuscule by comparison to the free-to-play giants, the company is gambling its most precious IPs on the free-to-play model. It hopes to do so in a way that will convince skeptical console players -- the core audience for its games -- of the design's merit. Kazutoki Kono is one of Namco's most senior art directors -- he led the design on the markedly stylish Ridge Racer Type 4. Today he heads the 30-strong Ace Combat Infinity team, the latest title in Namco's long-running dogfighting series which launches on PlayStation 3 in May as a free download. "More than actually paying us any money, we just want people to play the game for as long as we can keep them interested," he says. "It's not about making money so much as it is about spreading the word about Ace Combat. We want to release the game for free so people fall in love with the franchise." Kono explains the numbers that justify the move to free-to-play like so: "If we release a free demo of one of our titles we immediately receive 3 million downloads. But, in general, a boxed release of an Ace Combat game only sells a million copies. By making the game free we can drastically increase the size of the audience." Masaaki Hoshino started his career as a programmer at Namco. He worked as a programmer on the original arcade version of Soul Calibur and, today is producer of Soul Calibur: Lost Swords, a free-to-play single player-only fighting game launched on PSN this week, and the tenth title in the series that he has worked on. He agrees with Kono that the move isn't so much about making money as it is intended to grow the audience. "You absolutely don't need to pay any money to enjoy Lost Swords to its fullest," he says. "Of course, there is monetization in the game but that isn't the primary focus. 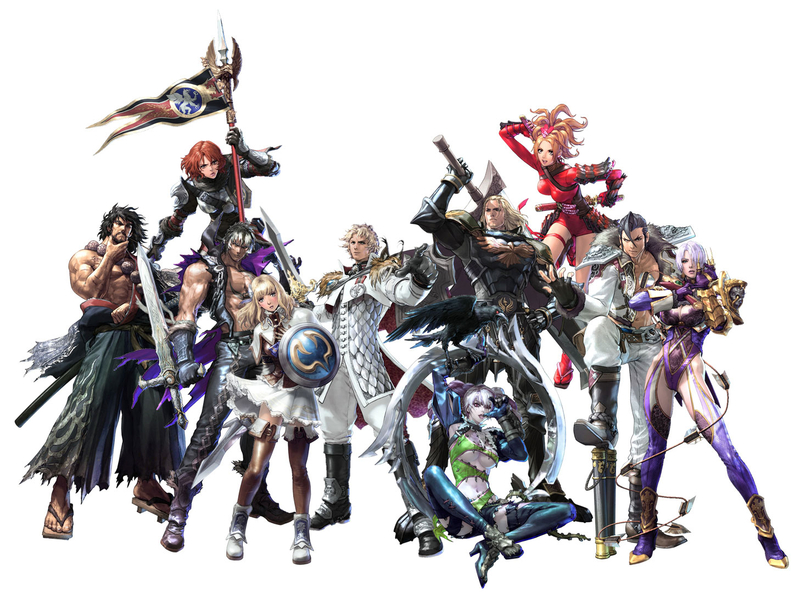 We want to expand the community and fan base for Soul Calibur. That's our biggest reason for the shift." Hoshino and Kano's claims invite skepticism. No matter how large the audience for your game, if they aren't paying anything then surely there is no business? But Kono is adamant this is a robust long-term strategy. "If we are successful and secure hundreds of thousands of downloads then we will have proof there's a large enough audience for these series," he says. "If we are able to grow the fan base then the options for the franchise open up. That's what's appealing: a larger number of players allows us to explore future options, which are more limited right now." Hoshino agrees: "We want to increase the number of players so that there's more possibility we can have a future mainline Soul Calibur," he says. The producer sees this as an investment in the future of the series. "It's for people who have maybe never played a Soul Calibur title who, because it's free, are willing to give it a go. If enough people do this, and enjoy the game, it makes it more likely that we can continue to create new entries. Then, of course, there are the super fans who will likely spend a lot of money on items in the game to show their support and appreciation." "Free-to-play just doesn't have the stigma in Japan that it does in some quarters overseas. Speaking as a player: if a business model enables more gamers to experience something that I enjoy, and feel the same passion for it, then that is surely something to celebrate?" Lost Swords has been built on an updated version of the Soul Calibur V engine. The long term business case appears strong, then, but what of the artistic implications of the move? Lost Swords will be the first entry to the Soul Calibur series without a 'versus' mode in which two players can duke it out with swords. For a series that made its name in the arcades and which has long fostered a competitive community, the shift appears nonsensical. But competitive fighting games are particularly vulnerable to corruption through insensitive free-to-play design: if one player can gain a competitive advantage over another via purchasing a new weapon or character, the game is won on whoever has the deepest pockets, rather than the greatest skill. In Lost Swords players are able to buy and upgrade weapons, a design that would render any versus mode useless. Namco's solution has been to remove the mode entirely. "Eliminating a versus mode has meant there is no real need to consider the balance in the same way as we do in the arcades and so on," says Hoshino. "It's breaking the rules of the usual fighting game genre in a way." While Lost Swords is a different type of game to previous entries in the series, Hoshino remains hopeful that a competitive fighting game bearing the series name is still viable. "I am a huge fan of fighting games so ideally I like a versus mode," he says. "In the future we'll be coming back to competitive modes for sure." It's a problem that Rise of the Incarnates, a free-to-play 2 vs. 2 arena fighting game for PC, has also had to contend with. Ryuichiro Baba, producer of the Gundam Extreme arcade games, designed the game, and he also oversees the free-to-play implementation for all of the company's titles, including Lost Swords and Ace Combat: Infinity. "The question is: how do you make your money without influencing the game's balance," he says. "The game needs to be competitive so, when we monetize the game it's mainly about the aesthetics of the characters and personalization. We don't do 'pay to win'. Once people realise the monetization is about the look rather than the mechanics and progression then they will be less irritated." Eliminating this sense of suspicion, particularly amongst console players, is key for these men. They are not sleeve-rolled consultants, airdropped into Namco wielding armfuls of disruptive promises. They are Japanese men in their forties and fifties who have worked for decades on these beloved series. They are veterans of video game development and publishing, who are here trying to adapt their designs to a new world, and to take skeptical players with them for the ride. 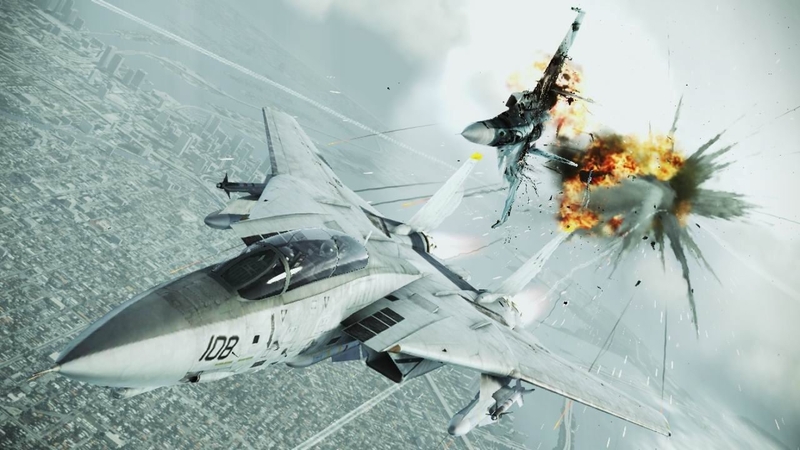 "We don't want people to be suspicious or afraid of the game going into it," says Ace Combat's Kono, before adding that many people were skeptical of a free-to-play Ace Combat before they played the beta. "85 per cent of the 300,000 people who played the worldwide beta were 'satisfied' with the design," he says. Nevertheless, Kono is unwilling to describe exactly how Ace Combat Infinity will be monetized. "If we say you need to pay for 'x' item it may mislead people, so we don't want to comment till after launch when everyone can understand the game's systems," he says. "But we have decided to not sell individual aircraft and emblems after the beta." For those players who like to 'own' their game, rather than simply pay to access or embellish it, the rise of free-to-play games, with their uncertain sense of permanence, has proven problematic. "We do understand veteran gamers like to buy the packaging," says Kono. "We're thinking about how to serve that kind of player so that they can feel more at ease, but we haven't made any final decisions yet." Ace Combat Infinity will feature solo campaign mission mode as well as 8-player multiplayer sorties. This isn't the first time that Namco has gambled on free-to-play. Last year's Tekken Revolution was one of the first free-to-play titles on PlayStation 3. "Tekken Revolution has been an invaluable learning experience for us," says Michael Murray, a designer on the series who is also involved in Rise of the Incarnates and Lost Swords. "Tekken had become more complex in order to cater to the top tier players. So our goal with Revolution was to simplify in order to allow new players to come in and try the game out. I think we were successful there: we saw lots of new people play Tekken for the first time. We also learned that it's important to monetize only on aesthetics, not on core mechanics." For Baba, the learning experience will continue with the forthcoming trio of free-to-play releases on console. "There's a bunch of knowledge that just doesn't exist yet," he says. "And each of the games is unique and so has its own challenges to take into consideration. So we will be examining the users and how they play each game in order to supply them with more of what they want for each title." Kono allows his professional hat to slip for a moment in order to speak in the capacity not of a producer but of a player. "Free-to-play just doesn't have the stigma in Japan that it does in some quarters overseas," he says. "Speaking as a player: if a business model enables more gamers to experience something that I enjoy, and feel the same passion for it, then that is surely something to celebrate?" PlayStation 3's core audience of hobbyist players is a long way from celebrating the free-to-play evolution. Microsoft's experiments on Xbox One mixing the old and the new business models has attracted a great deal of criticism from console players. Namco's plans are self-evidently motivated by business, but there is no doubt that its creators still value their art. Tagged with acecombatinfinity,	Articles,	Bandai Namco Entertainment,	PlayStation3,	soulcaliburlostswords,	tekken.